The movie Social Network made Facebook’s genesis well known: It started when Mark Zuckerburg, sitting in a Harvard dorm room, built the website that quickly spread among universities and eventually was made available to everyone around the world. But what do you know about LinkedIn? I was surprised to read that it was launched two years before Facebook and began taking signups in 2003. By 2008, it was a global company, opening its first international office (in London) and starting French and Spanish versions of its platform. By the end of 2013, LinkedIn celebrated its tenth year with 225 million members. Presently, it has 300 million users and is available in twenty-three languages. Those numbers are nowhere near Facebook’s 1.3 billion users, but we can’t compare the two networks. On LinkedIn you can post your keyword-rich resume, find freelance writing gigs, and search for editors, publishers, agents, illustrators, graphic designers, and marketing professionals. LinkedIn is also a nice break from the chatter on Facebook. You won’t find pictures on LinkedIn of babies, declarations of love, or images of gluten-free meals. 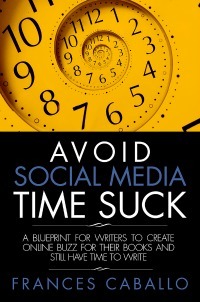 This is the place to connect with other writers interested in publishing and promoting their books. So, learn from them, share information, and do what LinkedIn is designed to accomplish: help you to connect professionally with other users who share your passion for writing, want to improve their craft, and want to see their books succeed. Professionals consider LinkedIn the most valuable social media channel on the Internet, and it consistently ranks in the top 10 most-used social media networks. According to a Pew Research Center report, in 2012 and 2013, LinkedIn ranked second in popularity among adults (Pinterest came in third and Twitter was fourth). Obviously, as writers we can’t afford to neglect to this network. It can be exacting and time-consuming, but the professional relationships we nurture here can set our careers on a secure course. To sign up for LinkedIn, simply navigate to www.linkedin.com and sign up. Select a password that contains numbers, letters, and symbols to make it as secure as possible. Upload a photo of yourself that conveys a professional image. Don’t use the cover of one of your books or image of your dog or cat. Now, spend time on the top gray panel. This portion of your profile needs to contain the information you want others to know about you and your book. Use keywords here— words that a potential reader, creative writing student, or author looking for an editor – would type when using a search engine such as Google to find you. The first line that appears in large text next to your photo is critical. In this space, establish the reason you are on LinkedIn, and use keywords in your description. Select your words judiciously because LinkedIn limits you to 120 characters. It’s succinct, powerful, and quickly conveys what she wants writers to remember about her. She repeats this information further down next to the word Current and in her summary. This is an example of astute marketing. If you are uncertain about how to present yourself, peruse LinkedIn and read other users’ profiles, especially those of other writers, editors, and book coaches. Decide what your salient trait is and how it distinguishes you from other writers in the world. Then write your headline and draw attention to whatever it is that makes you unique in your field. When you determine what your most important keywords are, repeat them. Use them in your headline and below, too, in your summary and specialties, and in the information listing your background. LinkedIn gives you ample space to insert your keywords throughout your profile. When visitors click on your contact information at the lower, right-hand corner of the panel, a window opens listing your website, blog, and designated landing pages. 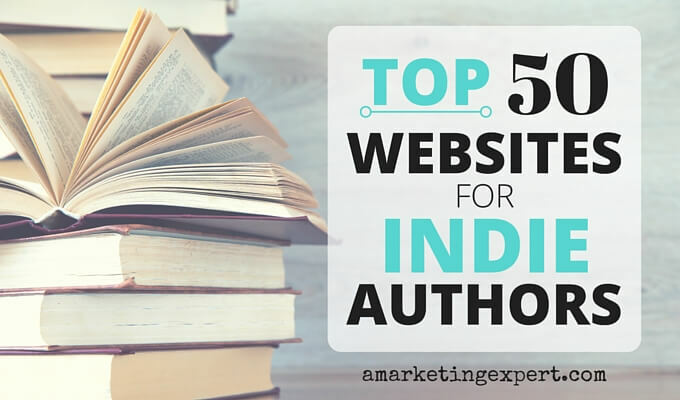 Instead of settling for LinkedIn’s default language of “company website” or “blog,” use your blog title or the name of your book, and include links to your blog, Amazon and iTunes pages or wherever people can purchase your book. In my example, I’ve listed a link to my website, the landing page that lists all of my books, and the landing page for where writers can subscribe to my eNewsletter. To customize your links, follow these steps. On the top toolbar, hover over Profile, and then click Edit Profile. Scroll down and click Edit Contact Info. Click Other and type the title of your page. On the top menu bar, hover over Profile and then click Edit Profile. Type the last part of your new custom URL. Attempt to use your first and last names, or some combination of your first and last names. LinkedIn will check to see if your vanity URL is available. If it is, you now own it. If not, you will have to make another attempt until you get a URL you like, and that’s still available. Use the summary to succinctly explain to people why they need your books, training, editing services, or coaching. A succinct synopsis that explains who you are, what you do, and the benefits LinkedIn users would gain by reading your books or attending your workshops receives great visibility here. Some people consider the summary as their cover letter to the world. It’s an accurate description of this section. If you are retired and are now devoting your life to writing, list in this section the titles and benefits of your books. If you wrote a cookbook, explain how the book will save them time, teach them to cook like a professional chef, or show them how to make sensational Snickerdoodles. If you write for the Young Adult demographic, explain why high schools should include your book in their English classes. Suppose you wrote a grammar book. Inform junior high English teachers and school administrators about the benefits of your lesson book. If, in addition to writing, you teach memoir workshops, include the benefits of attending your sessions. As much as you can, enrich this section with keywords and use bullets to market your book as best you can. You can add links to your summary and even upload a free eBook, white paper, or tips sheet and links to your favorite landing pages. You will want to showcase your talents by adding the Skills and Endorsements section to your profile. Select Edit Profile and scroll down to the Skills & Endorsements section. Click the Edit icon in the upper right. Type the name of the skills you wish to highlight and then select it from the dropdown list that appears. If you don’t see the skill you’d like to add, type the skill and click on Add, and then Save. LinkedIn allows you to add up to 50 skills; appearing first will be the skills with the most endorsements. Sometimes other users will endorse you for skills you haven’t selected, and you’ll need to decide whether it applies to you or whether the expanded skills will dilute your brand rather than secure your niche. Click the X next to the skills you’d like to remove. Demonstrate to your contacts that people enjoy reading your books or working with you by using the Recommendations feature. Users’ eyes always gravitate to this information. LinkedIn has certain parameters about how you can incorporate a recommendation into your profile. You need to request the testimonial through LinkedIn, and once it arrives, you can’t alter it, not even to correct a typo. Move your cursor over your photo in the top right of your homepage and select Privacy & Settings. You will be prompted to sign in to your account. Click the Manage your Recommendations link under Settings. Click the Ask for Recommendations tab at the top of the page. Select a position from the “What do you want to be recommended for?” dropdown list. In the “Who do you want to ask?” section enter names of connections into the text field or click the address book icon to search for connections. In your address book’s Choose Connections view, check the boxes next to the names you want to add and then click Finished. Enter your request in the Create your message section. Don’t use the default message; personalize it. Once you receive recommendations, the complete text of the testimonials will appear further down on your profile. Testimonials are important because they will give you credibility as a writer and workshop leader and provide further insight on your writing or teaching abilities. Google+ helps you to collect your contacts into separate Circles. Facebook provides the option of creating Lists that you can populate with friends, acquaintances, business associates, family members, and writing colleagues. Twitter has similar Lists you can use to monitor certain followers. LinkedIn also has lists, but on this network they are called Tags. Regardless of the semantics of Circles, Lists, and Tags, these classifications perform the same task: They allow you to categorize your friends, fans, followers, editors, writing colleagues, and connections into groups so that you can better organize your tribe. On the task bar, click Connections. You will see your contact sorted by recent conversations. You can either use this list or click search to look for specific users. Hover over your contact’s image and you will see the tag icon appear on the right. Either select an appropriate category for your connection or click Add New Tags to create new categories. To delete tags you don’t wish to use. Click the “X” next to the LinkedIn Tag you wish to delete. Groups are perhaps the most important feature on LinkedIn. They enable you to become a thought leader and meet new contacts with whom you can connect on other platforms. Sharing experiences and learning from the experiences of other writers is what makes the Group feature so popular. A word of caution: Never try to promote your books or your services. Instead, talk about your publishing experiences, recommend book cover designers, offer your best marketing tips, and share information you’ve gleaned from your own self-publishing experience. To find a group, click the bars to the left of the search bar and select Groups from the dropdown menu. Here are a few groups you can consider joining. Wouldn’t you like every aspect of your LinkedIn profile to be visible to search engines? In order to make this possible, you need to go to your settings. Here are the steps. Log into your account and click Settings. Under Profile, click on Edit your public profile. Under Customize Public Profile, check which sections you would like to be public. Use this application to include your volunteer experience. Everyone likes to see that professionals are giving back to their communities wherever they live. Share this information with others on your profile. Hover over Profile on the task bar and select Edit Profile. Under Recommended for you on the right, click on Publications to add it to your profile. Be sure to add links to all of your publications. If you are on Twitter, include your Twitter handle on your LinkedIn profile. List the books you have published, stories that are included in anthologies, and workshops you have taught. Adjust your settings so that you receive emails whenever someone requests a connection or sends you an Inmail, LinkedIn’s term for email. Join a few groups and become an active participant by sharing your views and expertise, answering questions, and asking others for help. LinkedIn users tend to be active group participants. The search bar on LinkedIn has a drop-down menu that allows users to search for people, groups, or companies. Use this feature to find other writers, agents, publishers, and groups. Expand your network by searching for first-degree connections (people for whom you have their email address or you’ve communicated within a LinkedIn group). Then you can take it a step further and ask your connections to introduce you to their first-degree connections. Note: Unlike Facebook, you can’t connect with people you don’t know. Invite writers you meet on LinkedIn to write a guest blog for you, or interview them on your blog. Twice a day, or at least once daily, post an update that includes a link to some great content that others will want to read. The rule is 80% of the time you promote other colleagues or experts in the field, and 20% of the time you can post an update about your own blog or book. Stick to the 160-character limit in your updates. If you’ve written a how-to, editing, craft, or grammar book, become an expert in LinkedIn Answers. Users use this feature to post questions and then wait for an expert like you to provide the answers they need. If you meet someone through a LinkedIn group who helps you, offer to write a recommendation for that person. Don’t cross-post your tweets to LinkedIn. Each network has its own language, and it’s best to write distinctive messages for each social media channel. LinkedIn is a valuable resource for writers, but it will take perseverance to master and finesse the finer points of this social media channel. For writers, it is a must-have platform for marketing your books and enriching your search engine optimization strategies. To keep up with the changes and to learn more about it from experienced social media practitioners who specialize in LinkedIn, follow some of the social media enthusiasts recommended in the Further Resources section. Get involved because the rewards are waiting for you.